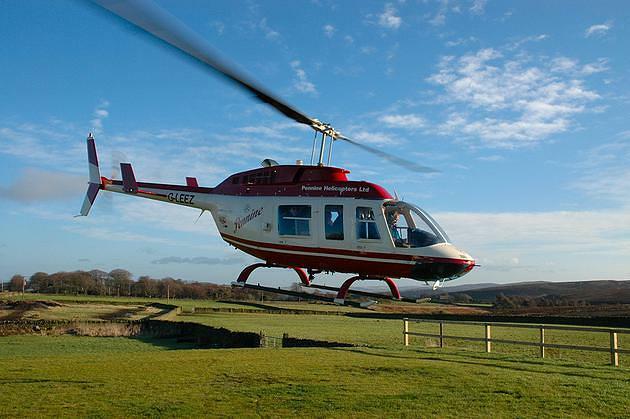 Pennine Helicopters offer helicopter rides from numerous locations throughout Northern England. Our team has for many years been one of the country’s leading operators of Helicopter Pleasure Flights establishing an excellent reputation for safety, professionalism and customer service. We feel it is very important to try to be ‘the best of the best’ in the aviation world, this means selecting the top pilots and using the newest of helicopters – even though this costs our company more to run the flights. We feel this greater cost is worthwhile as we ensure every flight is flown as if our own family is on board the helicopter. We don’t agree with using pilots who have low flying experience. Our main pleasure flying pilot is Captain Richard Knocker. Richard is an ex-Military pilot and has been involved in the aviation industry for over 28 years, during this time he served over 12 years on Military Operations all over the world as a Special Forces Helicopter Pilot with both the Royal Navy and the British Army. His time is now mainly spent on Charters and Helicopter Pleasure Flights. When Richard is unavailable for whatever reason, the pilots we use to cover Richard are trained by and work at the Training School which tests and examines other commercial pilots in their proficiency. Charlotte (the next family generation of Pennine Helicopters originally founded by Chris and Julia Ruddy) is the main ‘operations worker’ spending her time in the week between the office and on Underslung Load Lifting jobs, hooking loads on to the belly of the helicopter. You will also see her on most Pleasure Flight Operations – doing the bossing! When you book a helicopter flight with our family business you will liaise with our company and the same people right from purchasing the voucher online or over the phone, to taking your pleasure flight on a flying day. We like to build a friendly and personal relationship with all of our customers – so you are in caring hands.